After creating one of the greatest vampire films of all-time with Only Lovers Left Alive, Jim Jarmusch followed it up with Paterson, a gorgeous yet quiet drama full of his specific empathetic touch. In usual Jarmusch fashion, he’s now quietly begun production on his next film and it’ll find him return to the genre world, this time with zombies. Although there’s no official announcement yet, the director has been spotted in upstate New York with Adam Driver, Bill Murray, Selena Gomez, Chloë Sevigny, and Austin Butler filming a new zombie movie. With production underway in Fleischmanns (about 40 minutes west of Woodstock and a few hours north of NYC), both Just Jared and Daily Mail photographers have captured the cast on set, and you can find a wealth of set photos at both of those links. Update: Steve Buscemi, Tilda Swinton, Daniel Craig, Rosie Perez are also confirmed as part of the cast, Jeff Sneider reports. 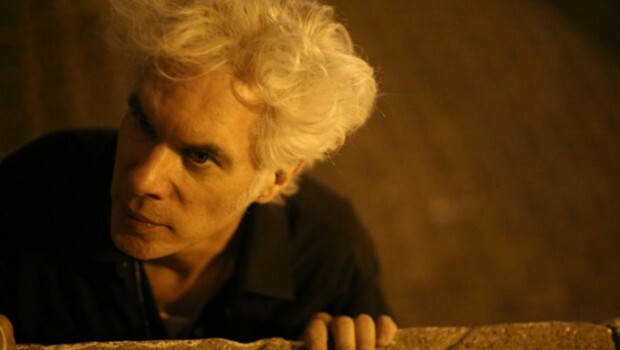 We’ll have more details on the film–which is currently shooting under the title Kill The Head, but is officially titled The Dead Don’t Die–likely at Jarmusch’s leisure, but if it’s anything like his last few productions, expect information to be spare until closer to a premiere, which we imagine could end up being Cannes 2019. As for Jarmusch’s potential inspiration for his latest film, he recently said he was thinking about having “a ’70s zombie movie” as the film Driver and Golshifteh Farahani’s characters go to in Paterson, before settling on Island of Lost Souls. If Jarmusch’s take on zombies is anything like vampires, we can expect one of the best movies in its specific genre. While we await more information on his latest film, which will be distributed by Focus Features, watch him discuss vampires (and zombies, briefly) with Tilda Swinton below, plus a masterclass, both from New York Film Festival.